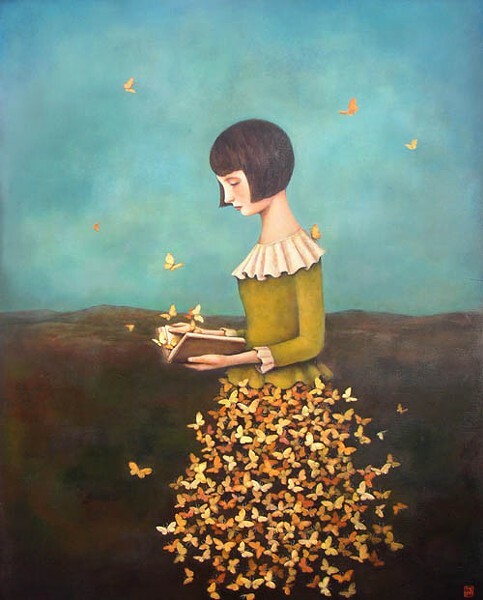 Local artist and co-owner of Lark & Key Gallery, Duy Huynh never ceases to capture my attention with his dreamy paintings loaded with clever captions. In the gallery's latest exhibit Inhabitants & Happenstance, you'll find new acrylic paintings by Huynh (like the one pictured, which is titled "Metamorphosis of a Metaphor" — see what I mean?). He hopes his works "inspire wonder and enable viewers to embark upon their own journey of finding comfort in uncertain times." The exhibit will also feature pottery by another local creative, Amy Sanders. Opening reception on April 1, from 6 p.m.- 9 p.m. Exhibit continues through May 28. Free admission. Gallery hours: Monday-Saturday, 11 a.m.-6 p.m. Lark & Key Gallery & Boutique, 128 E. Park Ave, Suite B. 704-334-4616. www.larkandkey.com.